DiMino broke the news of ANGEL’s reactivation in a Facebook post earlier today. He wrote: “Having our own solo projects and performing on each other’s records led to a natural progression to assemble the side project, PUNKY MEADOWS & FRANK DIMINO OF ANGEL. This led to a very successful 2018 tour. 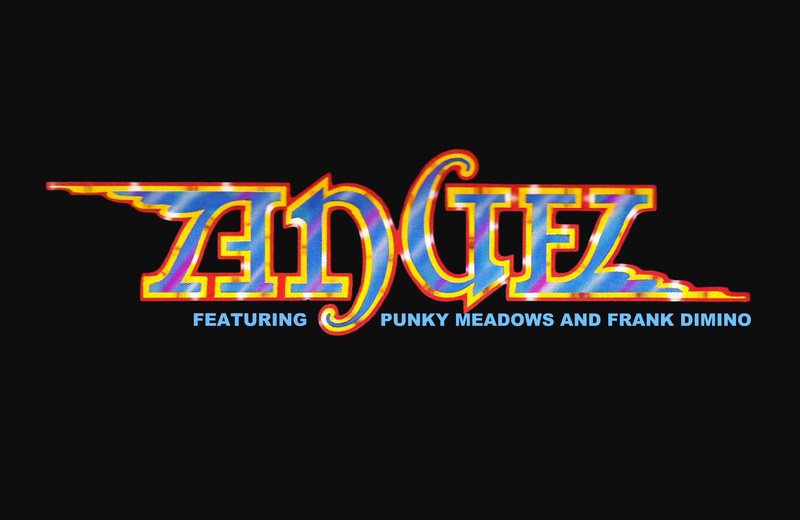 The great chemistry we experienced has led us to our next journey of writing and performing together and to enter the New Year as ANGEL FEATURING PUNKY MEADOWS AND FRANK DIMINO. ANGEL was discovered in a nightclub by none other than Gene Simmons of KISS, a man who had (and still has) a knack for finding and nurturing talent. ANGEL was also known for their androgynous look and dressing all in white, a pure yin-yang contrast to KISS’s own all-black clothing and elaborate stage outfits. In 1975, the glam-rockers were signed to the home label for KISS, Casablanca Records, ultimately releasing six albums (five studio, one live) uninterrupted between 1975-80 that mixed the best elements of glam, hard rock, and pure unadulterated fist-pumping melodic singalongs. This past August, Caroline/UMe saluted the core output of ANGEL with “Angel: The Casablanca Years”. This ascendant, band-approved seven-CD box set featured the Washington, D.C.-bred glam/rock outfit’s six albums that were released on Neil Bogart’s legendary Casablanca Records label, in addition to a seventh disc that contains mono mixes, single edits, soundtrack contributions, and other rarities. ANGEL expert Dave Reynolds contributed insightful liner notes to the box set’s included 28-page booklet, which also featured rare photos and other memorabilia.